The PONSHOP gallery has been transformed to accommodate holiday shoppers in their search for the perfect gift, and more and more items “under the tree” for under $50 are being showcased each day. The collection includes new work from Gabriel Pons, which is comprised of vinyl records stenciled with his signature artwork. 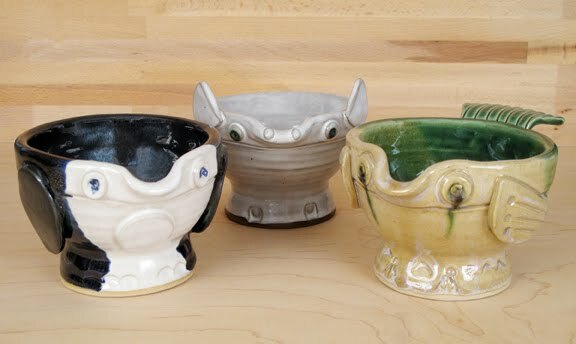 Ceramic animal bowls have also hit the shelves at PONSHOP. Designed by Scarlett Suhy-Pons and influenced by her children, they are playful additions to any kitchen or household. 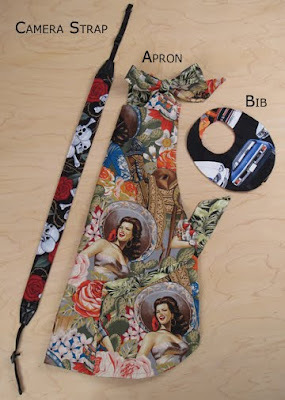 Artist Mary Kenyon, PONSHOP’s latest consignee, is featured extensively this month with her variety of quilted items in the shop, ranging from handbags and camera straps to aprons and baby bibs. Kenyon also has a number of larger quilts on display in the gallery. Accessories for men are plentiful at the PONSHOP, like with Randi Tannenbaum’s vintage license plate belt buckle and distressed leather belt. 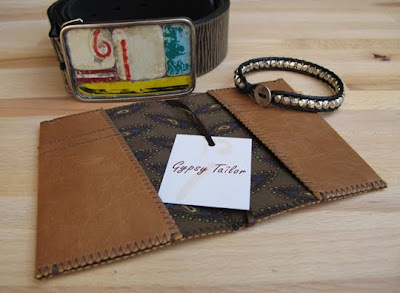 “Designs by T” also has a number of stainless steel beaded leather bracelets in the shop, as well as Gypsy Tailor’s collection of Argentinean leather wallets with recycled silk tie interiors.